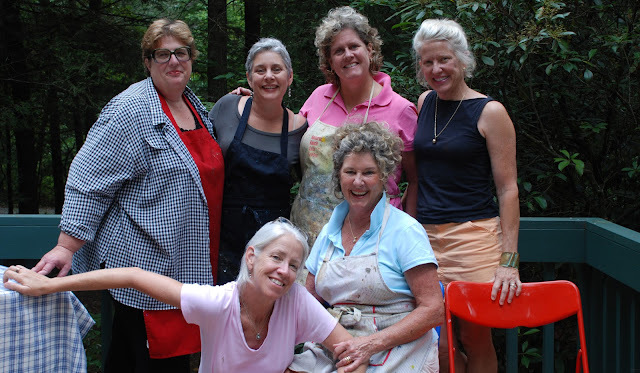 For the last eight years the artists Eileen Blyth, Brucie Holler, Louanne LaRoche, Laurie McIntosh, Lynn Parrott, and Jan Swanson, have spent a week sharing their love of art at Hemlocks Studio in Cedar Mountain, NC. This is the second exhibition for this group at Gallery 80808. For the Past eight years the artists Eileen Blyth, Brucie Holler, Louanne LaRoche, Laurie McIntosh, Lynn Parrott and Jan Swanson have spent a week in the mountains of North Carolina creating and sharing their love of art. 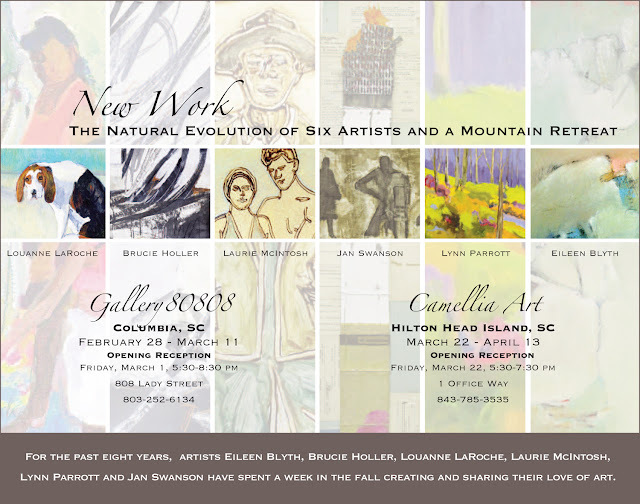 LaRoche, Holler, and Parrott maintain studios, in the Bluffton/Hilton Head area. McIntosh, Swanson and Blyth are Columbia artists. Friends and supporters of each other’s work they all acknowledge their common creative threads of process, discovery, documentation, color theory, and spirituality. The variety and expanse of their work is depicted throughout this exhibit of paintings, drawings and assemblages. In 2005, sisters Lynn Parrott and Laurie McIntosh participated in a class together at the Penland School. They had such a wonderful experience painting together that they decided to invite other artists they knew and respected to work with them in a group situtation. The first time they put this idea into play was in 2006 in Lynn’s garage on Hilton Head Island. After two meetings in Hilton Head the group moved to the mountains where they could work and paint at Hemlocks Studio in Cedar Mountain, NC. The artists participating were still quite fluid at this point but over the next couple of years a core group of six artists remained in place. Six is a nice number in the studio and through the years their creative spirits learned how to work with and around each other. Eileen Blyth, Brucie Holler, Louanne LaRoche, Laurie McIntosh, Lynn Parrott and Jan Swanson gather at this mountain retreat every fall to work, replenish friendships and share their lives with one another. They dance, cook, share books and music, inspire and influence each other over a few beers or a glass of wine and paint from morning to night. LaRoche has lived in low country since 1977. She is the former owner of the Red Piano Galleries. 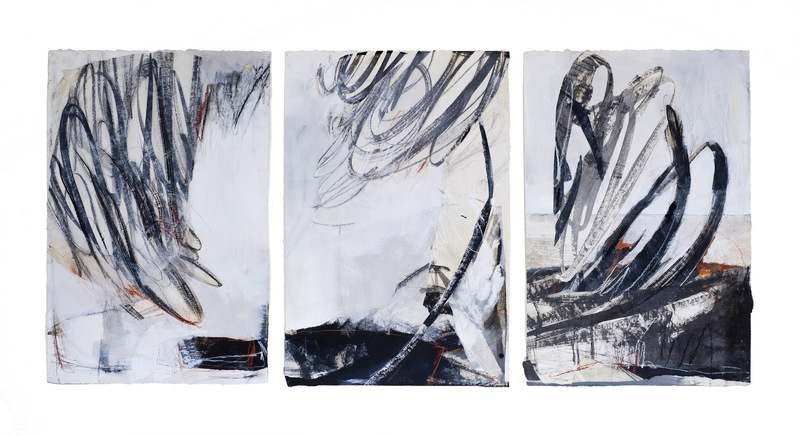 Her art reflects a significant sense of community, and her response to these connections, as they are being lost, displaced, or diminished. She continues to experiment exploring the relationships of color, texture, and creating new perspectives and nuances of feeling. Her work has been collected and exhibited internationally. “There is a communion of spirit between an intimate glance towards a gesture, event or place and the process of documenting this relationship on paper or canvas. Holler, a South Carolina native, received a BFA in painting from Florida State University and did graduate work at the Maryland Institute, College of Art in Baltimore. She then moved to Telluride, Colorado and worked for seven years teaching and serving as Director of Exhibitions for the Ah Haa School for the Arts, a non-profit art school. She has studied with a variety of internationally known painters including Richard Smith, Mario Martinez, and Truman Lowe among others and has shown her work in galleries in Florida, South Carolina and Colorado. She moved back to South Carolina in 1997 where she maintains a studio. As a painter, I am interested in exploring the idea of beauty and my response to life through nature, symbolism and an investigation of the interior landscape. Whether I am working in abstraction or representation, I am interested in creating spaces and moments of contemplation that are inspired by personal experience. Parrott a native South Carolinian grew up with an artist mother who encouraged her studies towards an art degree from Queens University and post graduate work at Clemson University. 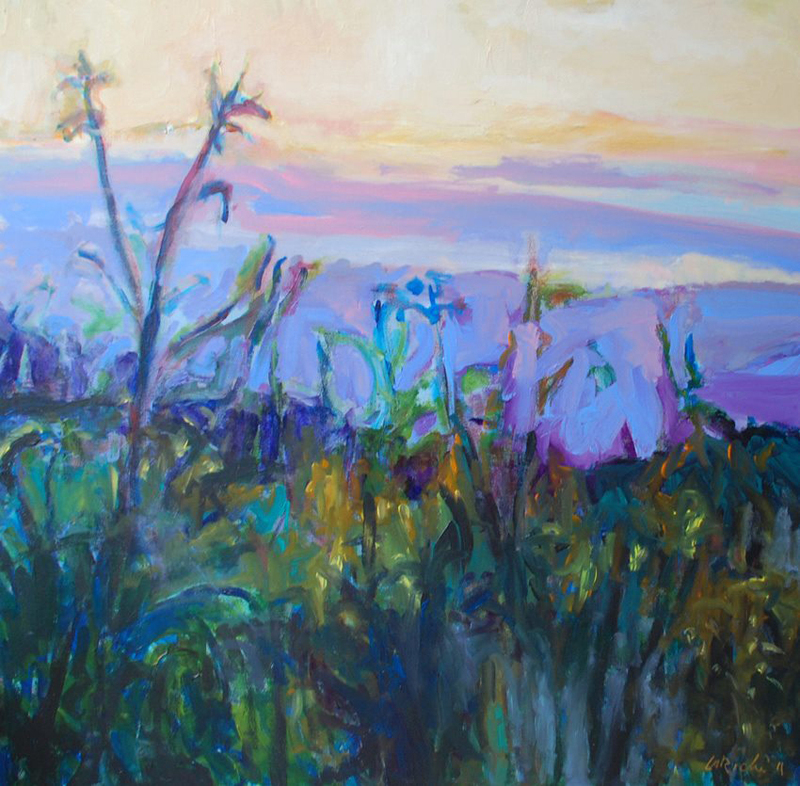 Her studies with renowned artists Charles Reid, Sheila Parsons, Frank Webb, Morgan Samuel Price, Michael Karas, Michael Cresco , Carol Anthony, Gregory Botts and Pinkney Herbert has helped develop her style. 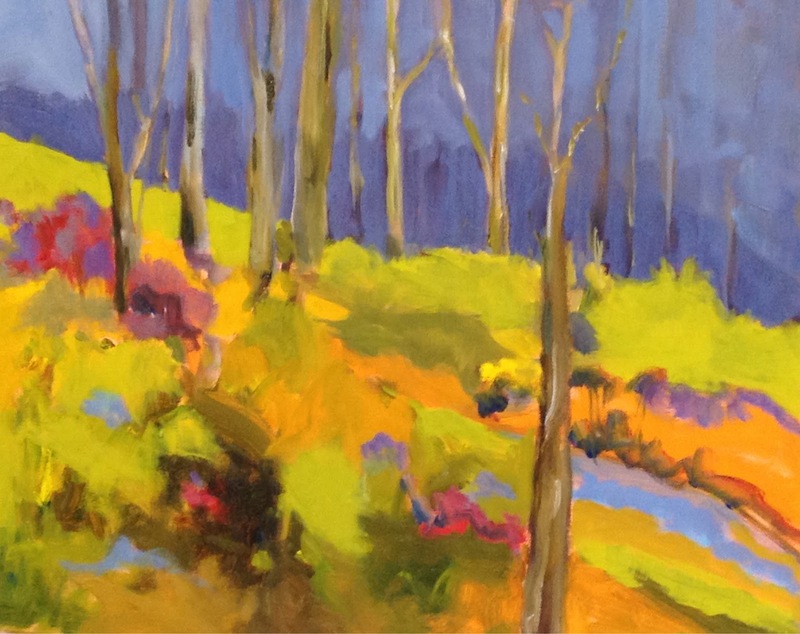 The landscapes of the South Carolina low country and the North Carolina Mountains provide the inspiration for her dynamic, multilayered and richly colored paintings. 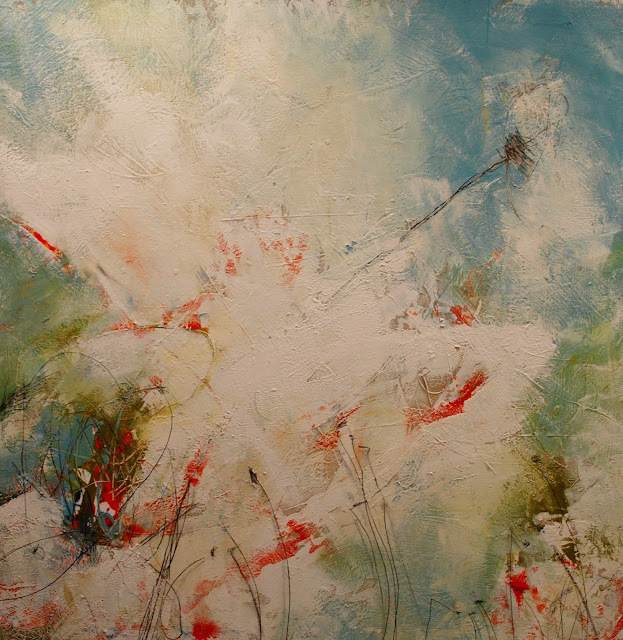 McIntosh is a graduate of the University of South Carolina where she majored in Studio Art. She is a full-time resident artist of Vista Studios/Gallery 80808 in Columbia, South Carolina. A professional graphic designer since 1986, she is also the Creative Director of Brownell McIntosh Graphic Design in Columbia. 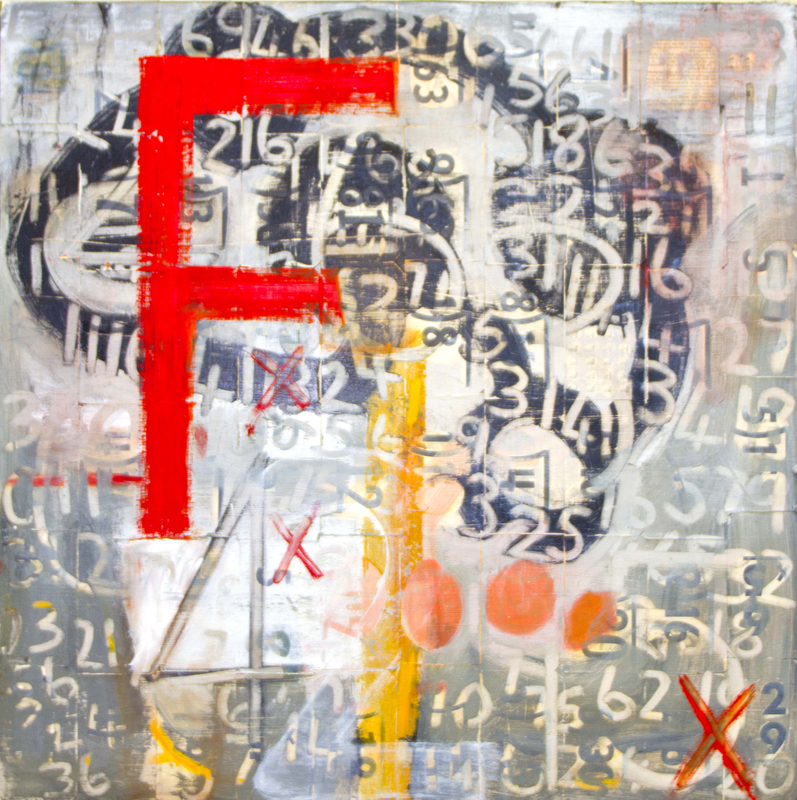 Swanson is a mid-century, self-taught artist from Asheville, NC, working mostly in oils, but also doing acrylic/collage paintings with found objects and papers. Her work is usually colorful; sometimes humorous. She is a graduate of Clemson University and has attended classes at the University of South Carolina as well as Penland School of Crafts, Anderson Ranch and Arrowmont School of Arts and Crafts. My paintings usually depict things that aren’t quite right. Many times there will be objects falling off of tables, or crooked chairs and windows. The spots may fall off a woman’s dress. Some of my recent paintings have cigarettes in them. I don’t feel right about a painting unless there is something amiss. “There are times when I have an idea in my head of how a painting will go. Usually, as I work, a completely different thing happens, as if the paint had a whole different plan. Somewhere between building the surface and making and erasing marks there is a shift. It is that moment of knowing, of seeing that shape or line, of finding the composition that is the exciting thing for me.”.